Awesome wallpaper, I really like Berserk. Haven't seen too many good Berserk wallpapers but this is one of them. Adds to favorites. nice clean image. 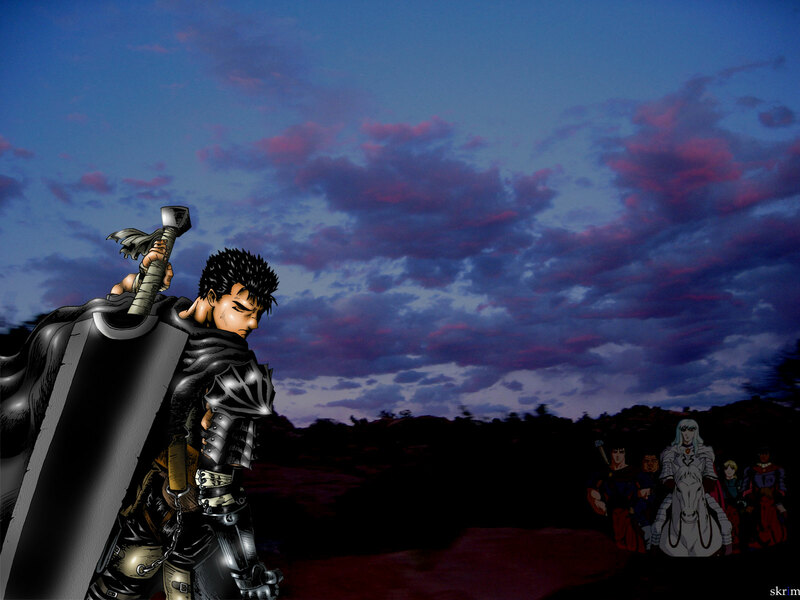 you sure made one heck of a Berserk wallpaper. also, i don't know if you inverted the image or something, but Gatts' severed arm is on the left, and his blind on the right. so if the graphic was inverted, then i'm guessing that Gatts has his eyes closed. (otherwise, the arm is just on the wrong side). but it's still a great image. it's actually unique... as i've never seen that image before. Did they not have all of him ? I really like his current look. It's very Hi-Tech Medieval. Good job.